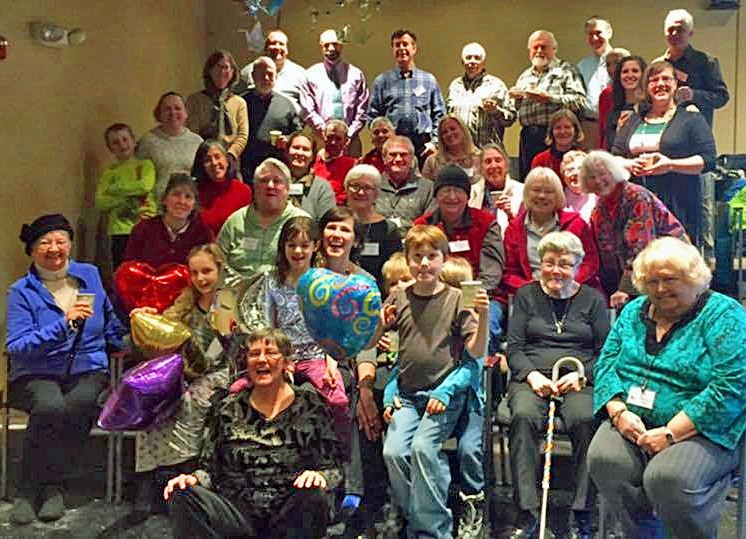 We are a caring spiritual community of adults and children in the heart of Maine's beautiful Midcoast region, freely gathered to nurture the life of the spirit. We strive to stand as a beacon on a liberal religious path, to challenge one another in the search for truth and beauty, to embrace diversity, to advance peace with justice, and to celebrate life with joy. If you are looking for a loving, spiritual community where you can be inspired and encouraged as you search for your own truth and meaning, please join us. We meet every Sunday morning at 10:30 in downtown Damariscotta, Maine at the Skidompha Public Library, Elm Street entrance. Click HERE for directions. 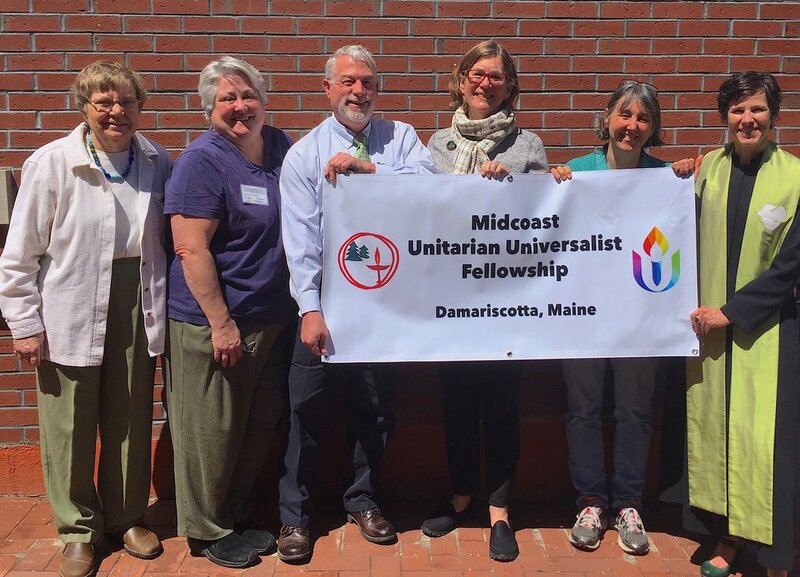 Midcoast Unitarian Universalist Fellowship is founded in the liberal Unitarian Universalist faith endorsing our individual search for truth and meaning. 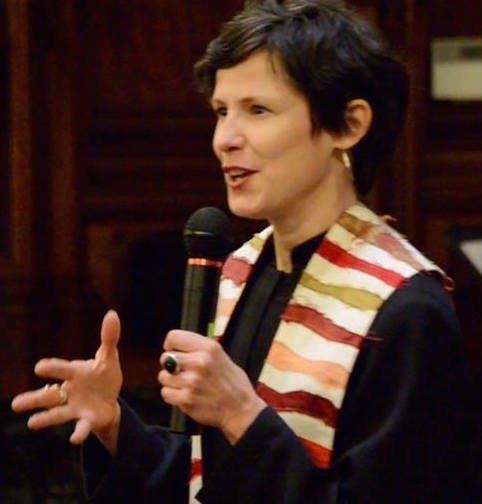 Our Fellowship is officially designated as a Welcoming Congregation by the Unitarian Universalist Association. 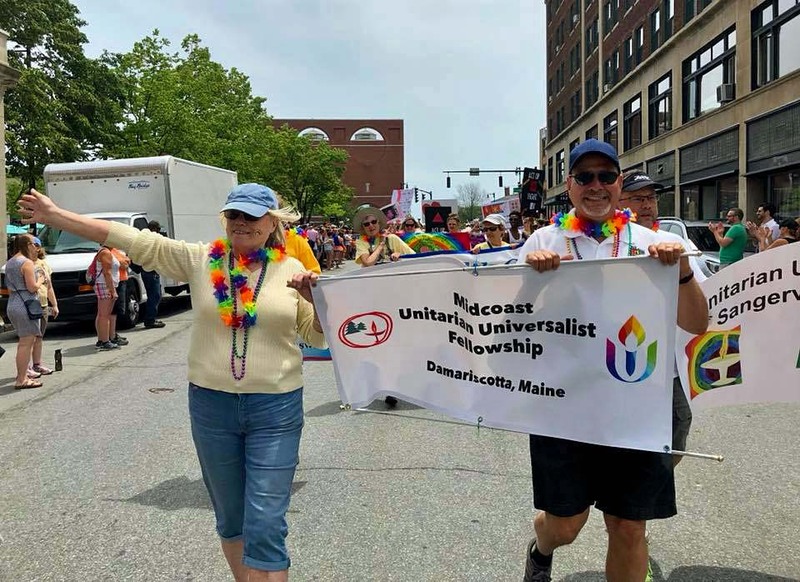 Patti and Michael joyfully carry our MUUF banner along with 10 other Maine UU churches led by MUUSAN at Portland Pride on June 16th.